Break’s over! 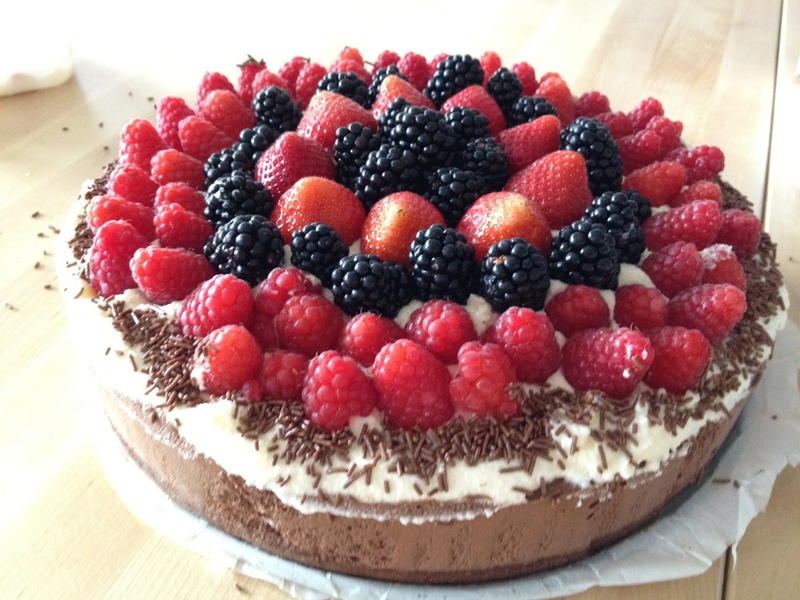 I had some friends over for dinner yesterday and for dessert made a chocolate mousse torte. 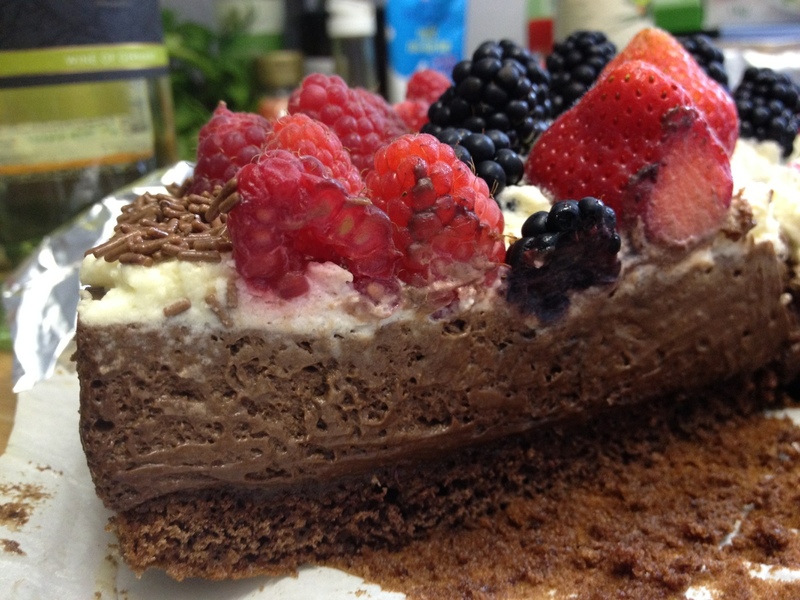 For the mousse I used the recipe by Betty Bossi. I added some whipped cream stabilizer to the cream to make sure it holds up in the torte form. 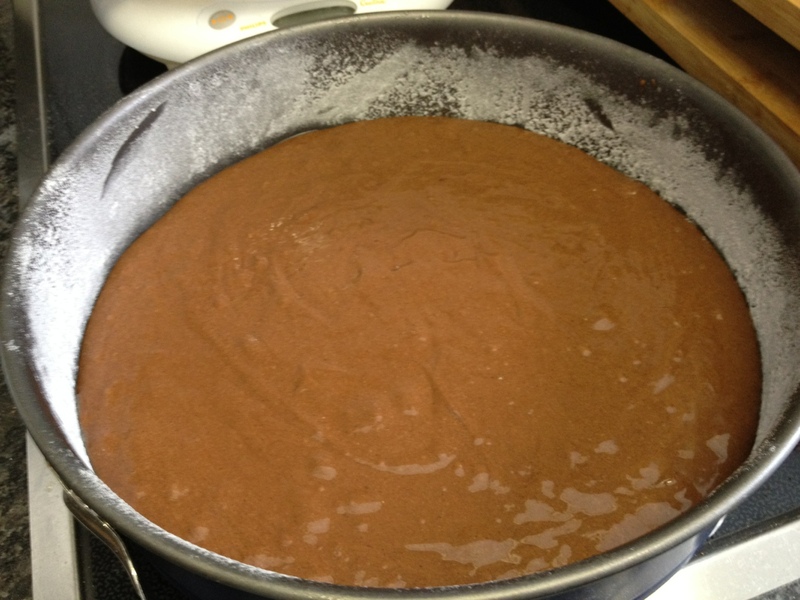 I started off with baking the chocolate cake base. For this you need to mix 4 egg yolks with 90g sugar and 1 packet of vanilla sugar until it is nice and fluffy. Then whip up the 4 egg whites with 3 tablespoons of cold water. 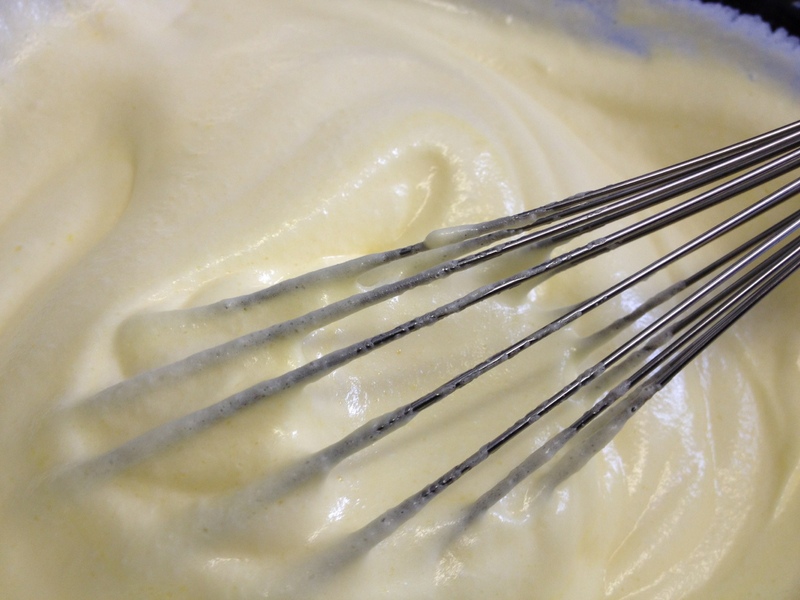 When they have stiffened, slowly add 90g sugar until the whipped egg whites are shiny and glossy. 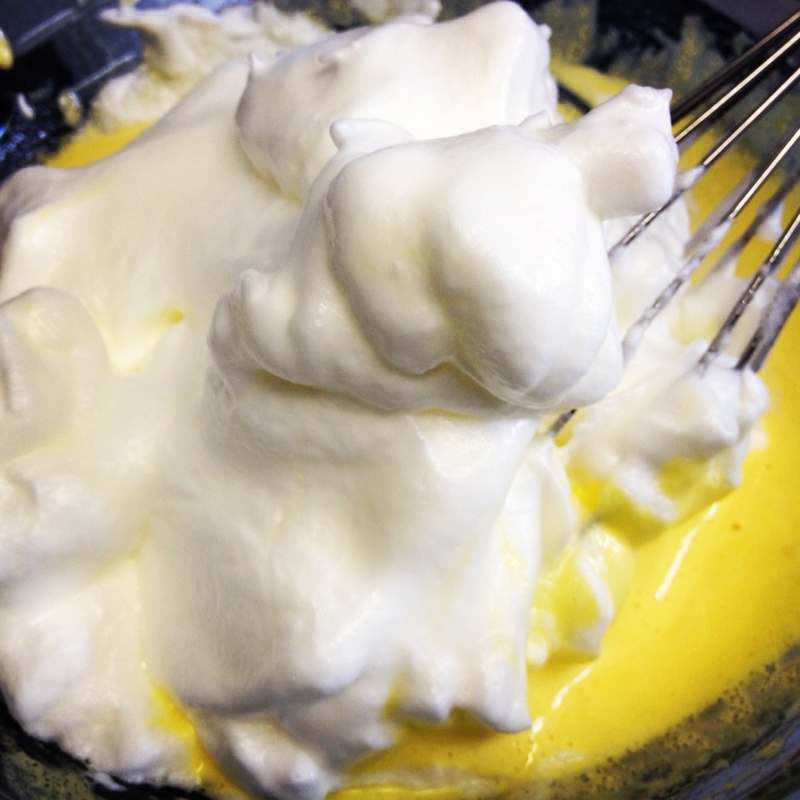 Fold the egg whites in the egg yolk mix. Next add 150g flour, 100g cornflour, 40g cocoa powder and 3 teaspoons of baking powder. 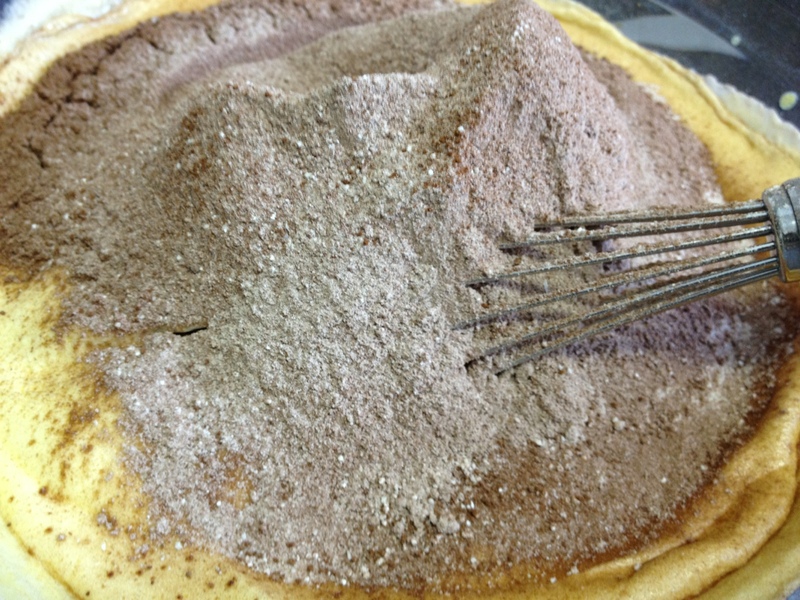 Then pour the mix in a buttered and floured cake tin (26cm). 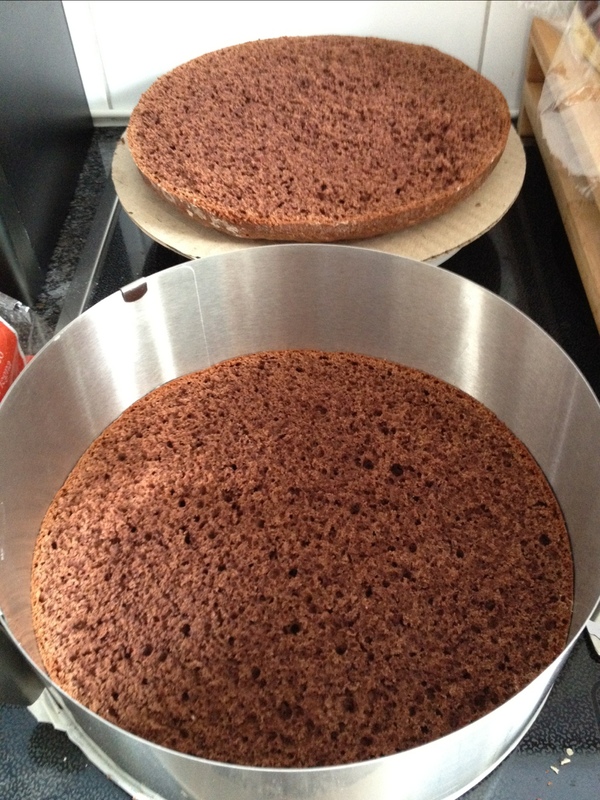 Bake it at 180C for about 25 minutes and your cake base is done. Once it had cooled down, I cut it in half with a string and put the bottom half in a cake ring. 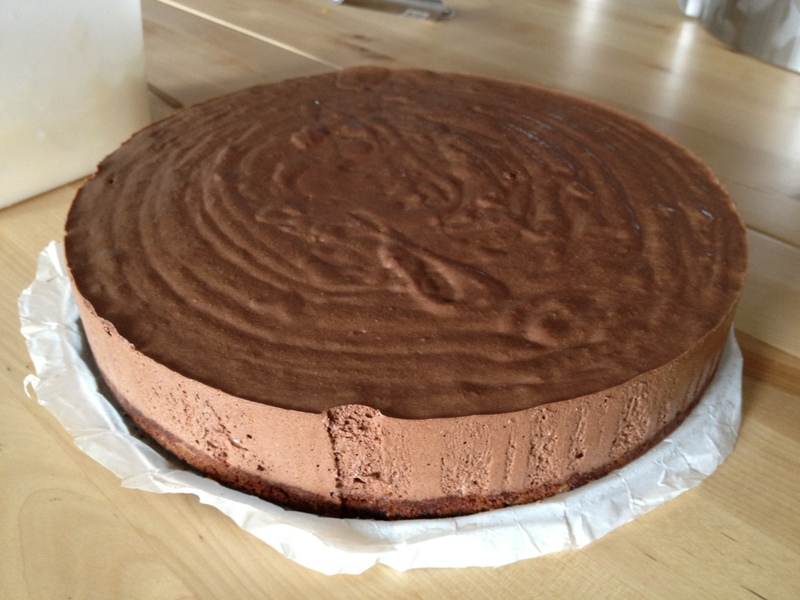 Next I made the mousse, poured it over the base and put the torte in the fridge. 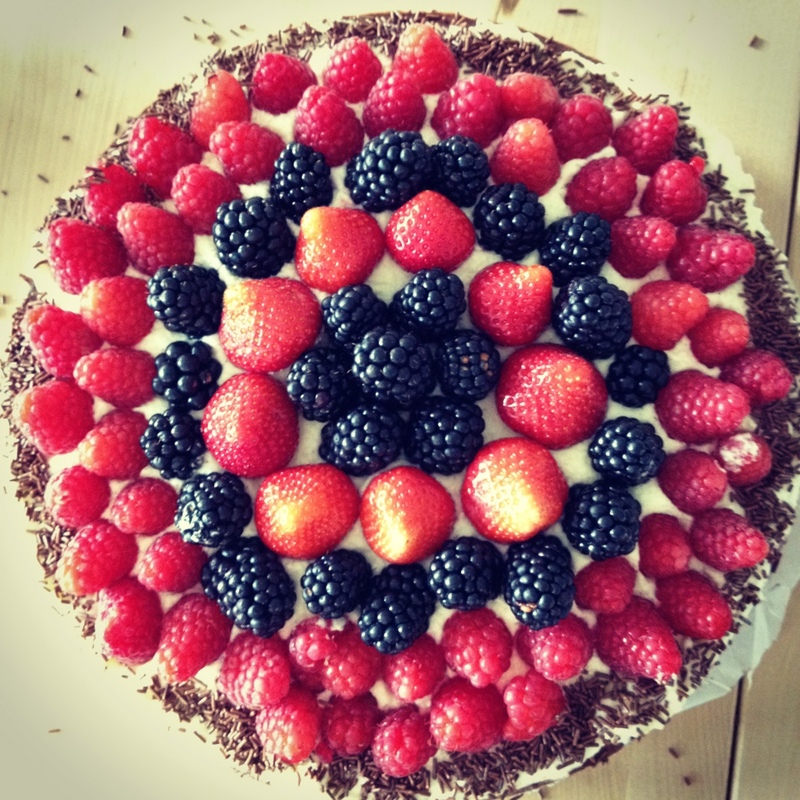 When the mousse was set I added a layer of whipped cream and berries (blackberries, raspberries and strawberries) and garnished the rim with chocolate sprinkles. A deliciously silky chocolate dream!